Belladonna of Sadness is the debut album from Portland, Oregon native Alexandra Savior. Her album is available digitally, and in physical formats of CD and a special RED VINYL LP. The album features 11 blissfully cinematic tracks, steeped in retro vibes and dusted with darkness and sensuality. An artist in every sense of the word, not only does Alexandra write music and perform live, she also paints her own artwork and writes, directs and edits her own music videos. With a voice that channels the ghosts of smoky 50s jazz haunts, lucid and literary lyricism worthy of J.D. Salinger, and wondrous youth-in-revolt abandon, Alexandra will tell you she makes "sassy impolite spaghetti western music." 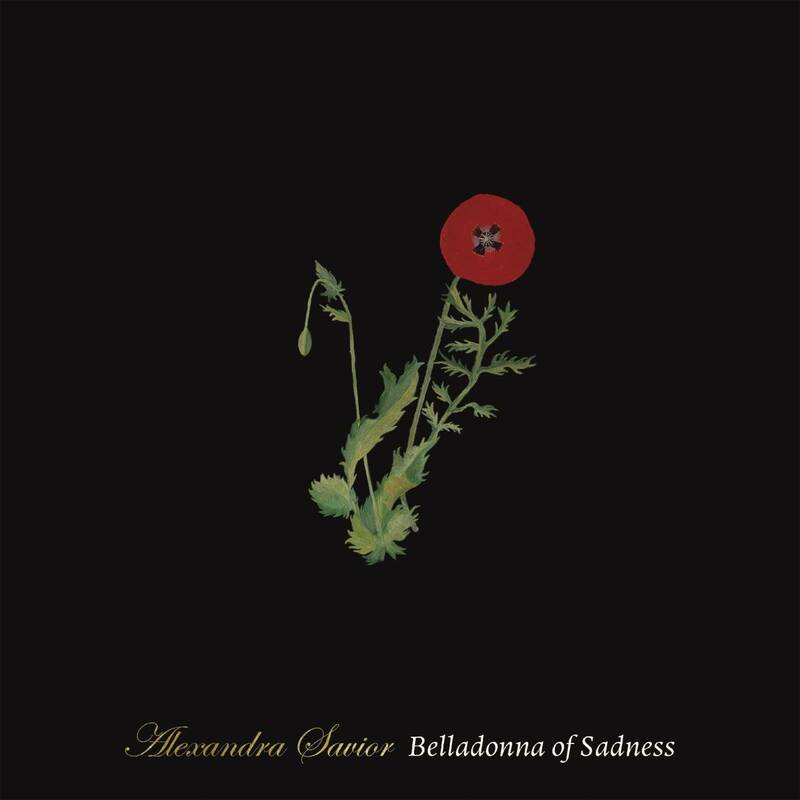 Belladonna of Sadness was co-written by Alexandra and British rock front man Alex Turner (Arctic Monkeys, The Last Shadow Puppets) and co-produced by James Ford (HAIM, Florence and the Machine) and Alex Turner. Alexandra first made her mark with the release of her debut single "Shades" in the summer of 2016, which left Noisey "comp4letely hooked" on the 21-year-old singer/songwriter. "It's about knowing you're doing something you're not supposed to be and reveling in it," she explains. In addition to "Shades," Belladonna of Sadness features previously released songs "M.T.M.E," "Mystery Girl," and the official first single "Mirage," which is about being in the grasp of the record industry and society s portrayal of women. Also included on the album is the track "Vanishing Point,", a hauntingly beautiful song that Idolator called "the best showcase yet of her evocative, widescreen sound and scene-setting lyrics." Alexandra's unique sound and style first caught the attention of several creative forces including T. Bone Burnett, who placed her song "Risk" in the most recent season of HBO's cult series True Detective. Live performances followed in both New York and Los Angeles, leaving audiences clamoring to hear and know more about this beautiful mystery girl. "I stay a bit stoic with my personal emotions," she admits. "I portrayed things I was going through, but I didn't say them out loud. I made the record when I first moved to L.A. I was observing a world I'd only heard about but it was true. I felt like I had to figure out who I was in a year, and I wrote about that struggle. I created a fantasy." With nods from top-tier publications including The FADER, Pigeons & Planes, NME, The Sunday Times, Stereogum, PASTE Magazine, V Magazine and many more, Alexandra is certain to soon be on everyone's radar.